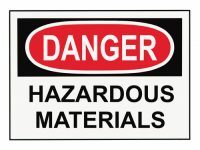 Do your employees know how to handle hazardous materials safely? Here are 11 basic rules all employees who handle hazardous materials should know and follow. Your workforce, your customers, and your markets are increasingly diverse. To promote individual and organizational success, you must welcome diversity and manage it well. These five steps will help you to manage diversity effectively.